As promised, Taylor Swift's new globetrotting video to "End Game" is here. As lavish and big-budget as you can get, the latest clip from Reputation features guests Ed Sheeran and Future, as well as a variety of worldly locations like Tokyo, London and Miami. The clip was directed by Joseph Kahn, and you can watch it play out in all its over-the-top glory below. 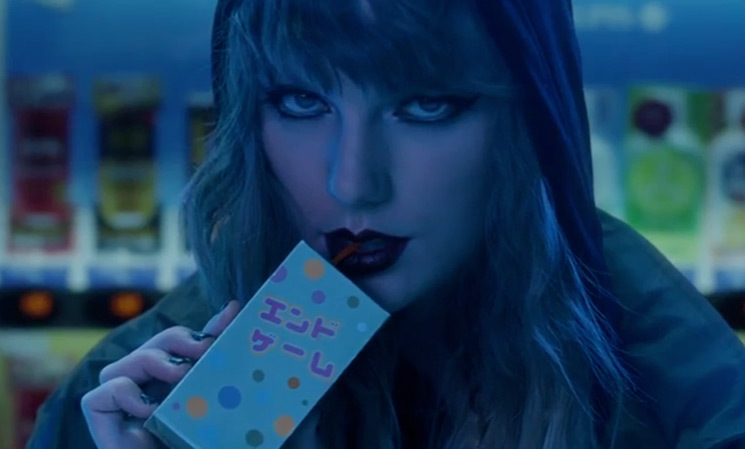 The video for "End Game" comes in the wake of such Reputation vids as "Look What You Made Me Do" and "…Ready for It?" and ahead of a big North American tour. You can see all those dates here. Order Swift's Reputation on CD or double picture disc vinyl via Umusic.